JMQ-6A Mobile Block Making Machine is hydraulic type, has higher pressure, thus the product quality is good. 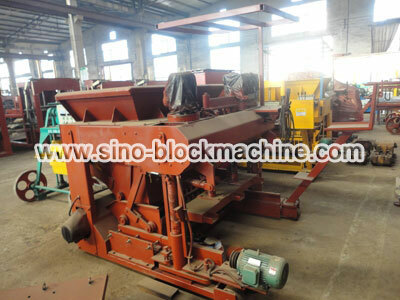 This Block Making Machine is mobile, no need pallet, so it can save a lot of money. Unlike stationary machines, JMQ-6A Mobile Block Making Machine can be used at anywhere that is flat. 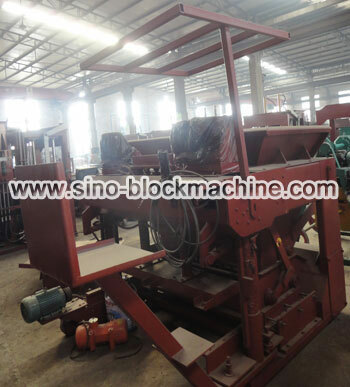 Besides, this block machine has a storage hopper to store mixed concrete, very convenient in use. It can automatically feed concrete material into mould box. This Block Making Machine has a seat for operator. Operator can sit there, control the production process and moving, very personal design. 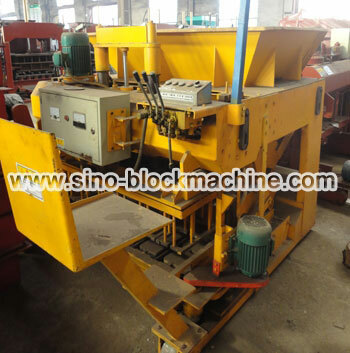 1.JMQ-6A block making machine is a mobile machine.It has larger productivity than the other small block machines. 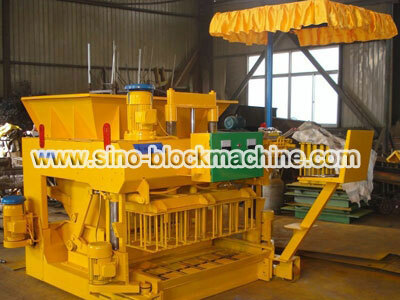 2.This Block Machine is manufactured on the base of technical modifications to the original block shaping machines, that is changing the former one-time-vibration into twice-vibrations of molding core, So the block density becomes higher, shaping speed quicker and block strength more even. 3.This model of Block Making Machine can be suitable to the customers who have any kinds of existing cement working sites. 4.The consumption pallets can be reduced.